We love babies. And we understand a baby's hygiene is something that no parent wants to compromise with. The cotton used for Johnson's Cotton Buds is pure and soft in nature and the finished products are sterilized and clinically tested before packaging. The buds are very thin in texture. Hence, you can even use them to clean the delicate areas of your baby's body, such as the gaps between fingers and toes and nostrils. These buds for babies can also be used to apply lotions or medicines in sensitive areas. Mom's trust Johnson's ,always mild, gentle & effective. 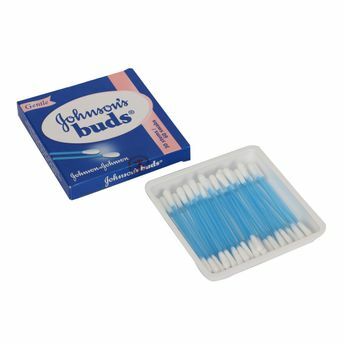 Never insert a cotton bud into the inner ear or nose. Explore the entire range of Cotton Buds, Balls & Wipes available on Nykaa. Shop more Johnson's products here.You can browse through the complete world of Johnson's Cotton Buds, Balls & Wipes .